In case you hadn’t noticed, smartphones and tablets are now hugely important for ecommerce both in terms of traffic and conversions. According to Ofcom, smartphone penetration in the UK now stands at 58% while 19% of the population owns a tablet, so websites have no choice but to adapt to accommodate the ensuing changes in consumer behaviour. With this in mind, I thought it would be useful to round up some of the most useful stats and surveys we’ve seen in the past 12 months. On average mobiles account for 31% of site traffic in the UK, according to Mobify. This compares to 47% in Australia, 40% in Brazil, 34% in South Korea, 31% in the US and just 8% in France. 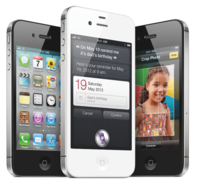 According to IMRG mobile commerce grew by 254% between 2010 and 2011, and by a further 300% between 2011 and 2012. Data published by Adobe in May last year shows that one tablet generates as many website visits as four smartphones. 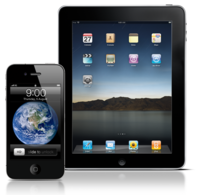 By the end of Q1 2012 smartphones accounted for 6.1% of site visits compared to 4.3% on tablet. However, smartphones only maintain a greater share of website visits due to the lower penetration rate of tablets, with 5x more smartphones shipped across North America and Western Europe compared to tablets. Affiliate Window’s m-commerce figures from December show that 14.72% of all sales were through mobile devices (including tablets), up from 12.3% in November. Overall 19% of traffic came through mobile, up from 16.29% in November, with smartphones accounting for 11.11%. Mobile traffic converted at 4.37% – up from 3.89% in November. 69% of tablet owners make a purchase on their device every month, according to a study by InMobi and Mobext. The report found that 3.9m people in the UK own one, equating to around 13% of households. According to comScore, in October 2012 44% of UK smartphone owners performed at least one shopping activity using their device while in a high street shop. The most popular activity was taking a photo of a product (42%), followed by contacting (37%) or sending a picture (21%) to a friend or family member. Data from Screen Pages revealed that across 16 of its clients’ websites the average conversion rate was 4.81% between 1 and 15 December. A decent proportion of the traffic comes from iPads (13.3%) and iPhones (6.9%), and the conversions on each device are remarkably varied. In average terms, the conversion ratio from desktops was 5.41% – 0.6% higher than the overall average. IPads converted less well than desktops at 4.16%, while iPhones bring up the rear with 1.3% – only a quarter as effective as desktops. A survey of 1,000 UK smartphone owners published in November found that the use of m-commerce has remained relatively stable in the previous 12 months, suggesting that it’s failing to catch on with consumers. Orange’s Exposure report found that 29% of smartphone owners had purchased an item using the mobile web in the past six months, compared to 24% in 2011. This is despite the fact that smartphone ownership has increased from 41% to 49%, which you would think meant that people are becoming more comfortable with the technology. The 29% who have made a purchase on their smartphone breaks down as 13% who gave a credit card number and 19% who didn’t use a credit card to buy something online. In comparison, two-thirds of tablet owners (64%) have made a purchase online using their device. Of this number, those who made a payment on their device using a credit card were actually in the majority (47% vs. 23%). Nearly a quarter (24%) of UK consumers used a mobile device for Christmas shopping, according to stats included in our new Christmas 2012 Online Shopping Survey. The report, which was produced using Toluna QuickSurveys, polled 1,000 UK and 1,000 US online consumers on their shopping habits. It revealed that 11% of UK respondents used a smartphone and 13% used a tablet, compared to 77% who shopped using a desktop. The report also found that one in five (21%) UK respondents admitted to ‘showrooming’ (i.e. researching products on their mobile) over Christmas. A Tradedoubler survey of 2,000 smartphone owners found that more than two-thirds (71%) of respondents research products on their mobile, with 32% doing it on a weekly basis. But the volume of research done on smartphones doesn’t necessarily translate over into mobile conversions. When asked what they had done after researching products on their mobile, 38% of respondents said they completed a purchase in store compared to 25% that made a purchase on their smartphone. In response to a different question, 41% of respondents said they use their mobile in-store at least half the time they are out shopping. The survey also asked smartphone owners what they use their phones for in-store. It found that 42% of in-store researchers are looking for better prices elsewhere, 19% are searching for vouchers and 16% for location-based offers. Data from Econsultancy’s Multichannel Retail Survey shows that the number of consumers that have made a purchase on mobile has roughly doubled in the UK since 2011 from 13% to 25% of consumers. In the US the figure has increased from 12% to 28% in the same period. In both the US and UK the younger the consumer the more likely they are to have made a purchase using their mobile. Q. Have you made a purchase using your mobile? The report also shows that when it comes to shopping most consumers prefer to use a mobile site rather than an app. Q. Do you prefer to use a mobile website or an app? Almost a third (32%) of UK consumers have used their mobile to find a retailer’s nearest store or opening times, and 43% of respondents said they had used their mobile to compare prices and look at product reviews while out shopping, up from 19% in 2011. A Rackspace survey of 2,009 smartphone and tablet owners found that just 40% of respondents make purchases using their device, meaning that there is still a huge amount of room for m-commerce to grow even among the current audience. Almost one-fifth (17%) of respondents said that mobile devices have increased their impulse purchases. 71% of this group said that the main reason for the increase in spending is that the process is so simple and the technology is so easy to use, while 27% said that the experience of shopping with smartphones and tablets is better than shopping in-store. As tends to be common with these sorts of surveys, younger respondents were found to be more tech savvy with 62% of 18-34 year olds buying things on the spot today, compared to 32% of those aged older than 55. A large majority (84%) of those who do not shop using their device said that they simply prefer to use their laptop or desktop, while just over a quarter (27%) said that they are worried about security. Furthermore, 59% are uncomfortable with, or wary of, storing credit card details online and nearly a quarter (22%) of respondents are concerned that retailers will share their details. Tablets accounted for almost one fifth (18%) of UK paid search clicks for retailers in 2012 compared to 13% on smartphone, according to a new report from Kenshoo. Tablets also delivered 18.3% of conversions and 21.3% of revenue, while smartphones achieved just 3.6% of overall retail conversions from PPC and 3.4% of revenue. Similarly, the conversion rate from smartphone visits is just 1.59% compared to 5.85% on tablet and 6.53% on desktop. The report indicates that marketers aren’t yet making the most of the opportunity presented by tablets, as the devices account for 14.1% of ad spend at a CPC of £0.25, while desktop hoovers up 78.7% with a CPC of £0.36. This is despite the fact that average order value from tablets is £88.84, compared to £73.78 on desktop and £71.98 on smartphone. A new survey by The Cloud found that 73% of British smartphone owners have used their phone when they are out shopping to check prices, look for offers or use apps like Facebook, Twitter or Foursquare, while around one in eight of all UK adults (13%) regularly use their smartphone on the high street. That’s the equivalent of 5.6m people, or 23% of everyone who owns a smartphone. Meanwhile one in five smartphone owners (20%) have used their device to upload a photo of themselves or a product when shopping and asked their friends or family for advice before buying it – that’s equivalent to 4.8m people. Research by DPD found that 23% of people have bought goods online using their smartphone while 19% have shopped online using a tablet. The research shows that a quarter of people (24%) say that they expect to shop via their smartphone or tablet device in the next 12 months. Furthermore, 23% of tablet and smartphone users have downloaded online shopping apps to help them make transactions more easily. According to comScore published in July 2012, one in six smartphone users in the EU5 (France, Germany, Italy, Spain and the UK) accesses online retail stores and apps on their device, while one in eight users has completed a transaction on their phone. In May 2012 16.6% of EU5 smartphone owners accessed retail sites or apps, a 4.6% increase year-on-year. The UK was the largest market by absolute numbers with 6.5m smartphone retail users, but also had the least rapid growth rate at 74%. The report, which uses data from comScore MobiLens, found that 12.4% of smartphone owners made a transaction on their device in May. More than two-thirds of UK mobile owners (63%) have used m-commerce in some form according to data from inMobi. Of those yet to use m-commerce, 45% expect to do so within the next 12 months. Looking at what mobile users have purchased; 47% bought digital goods, 34% purchased physical goods, 26% settled a bill and 21% paid for services. The data from the UK Mobile Media Consumption Report for Q2 2012 also found that mobile advertising is just as influential as desktop advertising when it comes to impacting purchase decisions. Almost half (48%) of respondents claimed that mobile and PC advertising had influenced a purchase decision compared to 55% from mainstream TV advertising. This influence is directly relating to brand sales both on and offline, with a fifth of respondents stating mobile advertising influenced their subsequent in-store purchase and 21% stating it influenced them to buy via their mobile. The data also highlights the importance of location-based advertising, with 41% of respondents claiming that a mobile ad had helped them find something nearby while 20% said it had influenced a purchase decision in-store. Big Data may be tough on our technology stacks, but the real challenges lie elsewhere. Promises. Promises. Big Data sure makes a lot of them. Increase the effectiveness of your sales (or political) campaigns by using behavioural data to divide customers into micro-segments. Improve brand perception by monitoring the complex web of conversations across Twitter, Facebook and other channels and then engaging carefully with key influencers. Analyse internal processes to find opportunities to reduce costs and increase responsiveness. Sounds great, but is it real? Are people actually doing such stuff, or is it all vendor hype? A colleague passed something on to me last week: HootSuite’s CEO Ryan Holmes’ quote on social in regulated industries – “For highly regulated sectors like finance, social media can be a legal minefield”. Whilst this isn’t anything new, I guess it goes without saying marketers in regulated sectors are the most cautious of our breed.